If you are like me, you take advantage of all of the sales on cranberries this time of year. And then you notice one day that you have 12 bags of cranberries in your freezer. Now, I love cranberry sauce just as much as any other Thanksgiving celebrating American. But not 12 bags of cranberry sauce love. This is where a good sorbet recipe comes in handy. 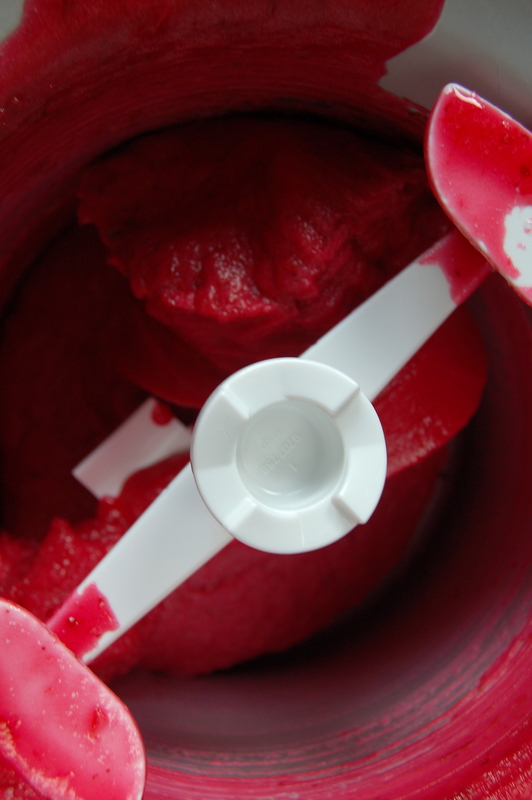 And because I was already on a Mexican theme for my “not on Thanksgiving giving thanks celebration”, I made my usual cranberry sorbet into cranberry-jalapeno with a hint of lime sorbet. 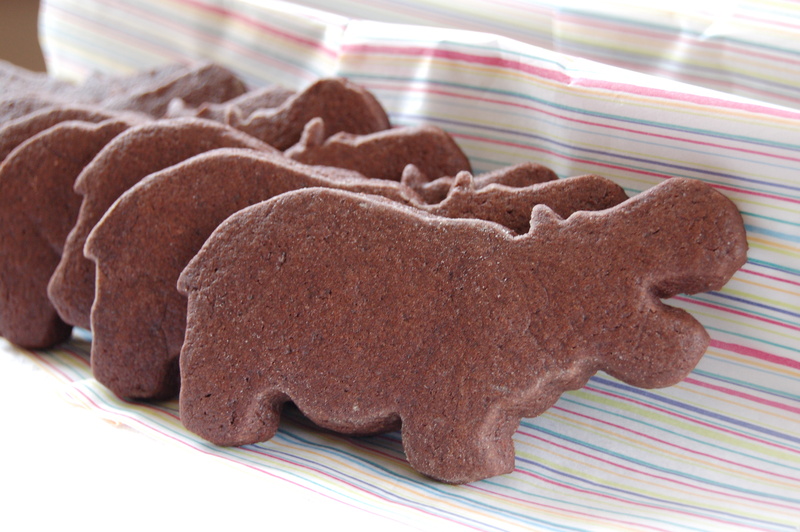 You and your 12 bags of cranberries can thank me later. 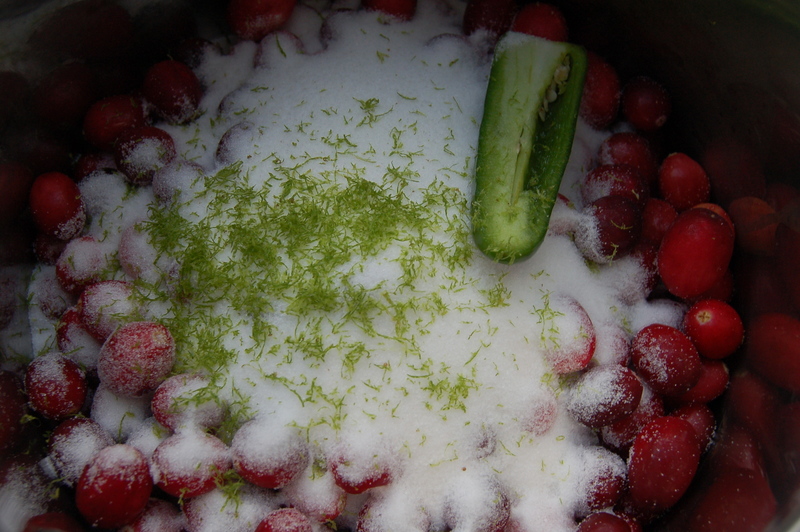 The jalapeno adds a nice warmth to the tart cranberries. If you really hate chili peppers, you can leave it out. But don’t leave out the tequila, as the alcohol keeps the sorbet nice and soft. Substitute vodka if you don’t have tequila. But you really should have tequila in your house. 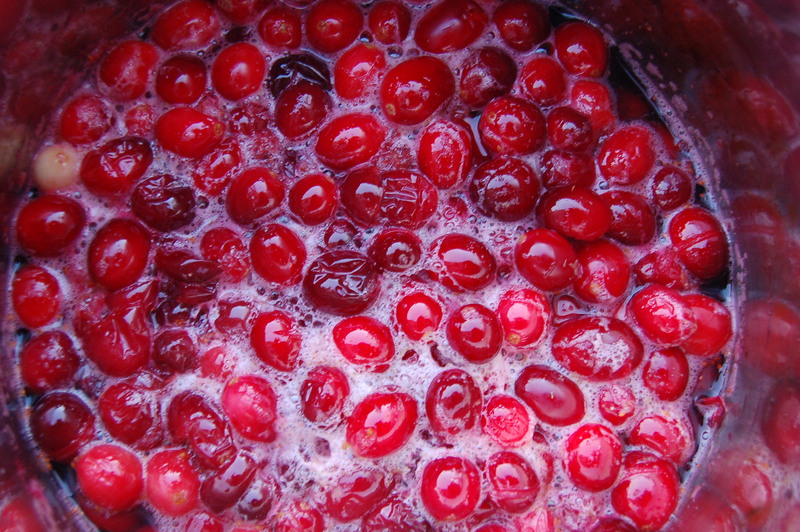 In a medium saucepan combine cranberries, sugar, water, jalapeno, lime zest, and lime juice. 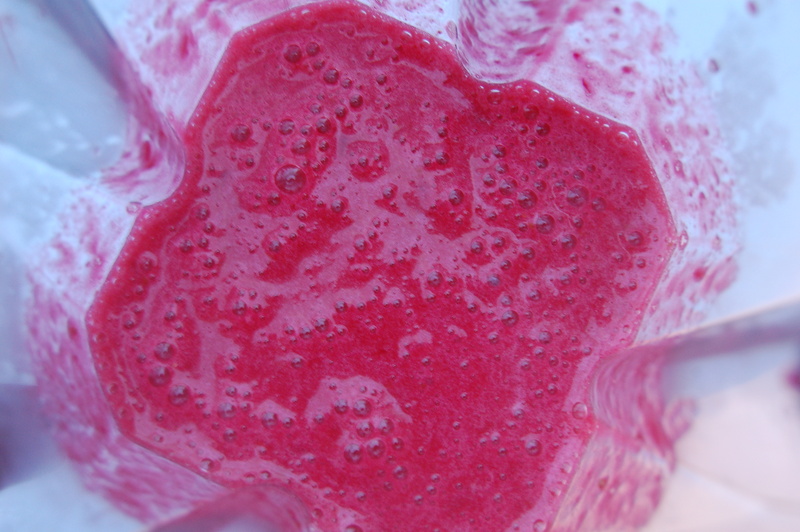 Bring to a boil and lower heat, stirring occasionally, until berries begin to pop open, about 20 minutes. Remove from heat and allow to cool to room temperature. Place cooled mixture in blender along with 1 tablespoon tequila and puree. Chill in refrigerator at least 4 hours. Freeze in ice cream maker according to manufacturers instructions. Transfer to freezer safe container. Keeps up to one week. 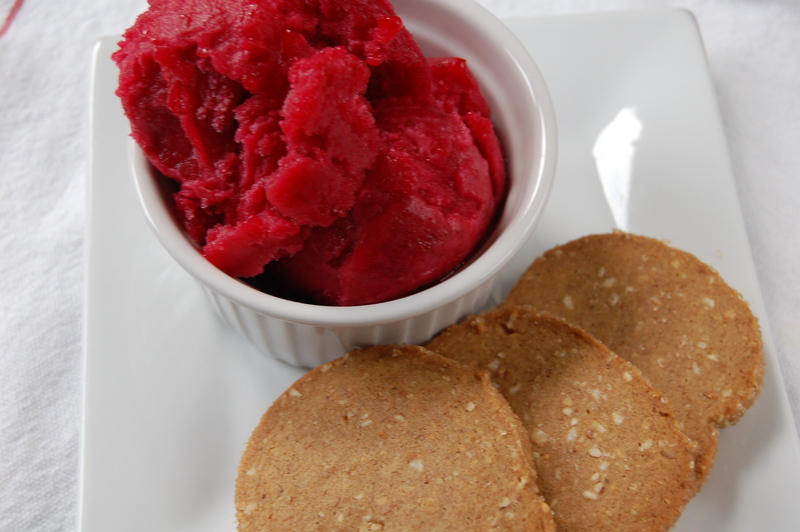 I served the sorbet with spiced sugar cookies. Yum! there IS a bit leftover in my freezer, miss J….